Communities Officer is within walking distance of the future planned Officer Town Centre and has the added benefit of being adjacent to the Gum Scrub Creek Nature Reserve. Aviva Officer will be launched in mid 2019. To register your interest and to take advantage of pre-release purchase benefits call 1800 961 585 or register on www. avivacommunities.com.au â&#x2014;? 120 CoRINEllA RoAd CoRINEllA Neat as a pin â&#x20AC;&#x2DC;Queenslanderâ&#x20AC;&#x2122; style home with wrap around veranda on just over an acre. The home full of character includes 3 dbl size bedrooms, Master with WIR & ensuite. Main bathroom with vanity, shower & bath. Kitchen with stainless steel appliances & spacious family lounge. Solid fuel heating and 2 x RC Split systems provide comfort year round. A private property with distant Bay & French Island views, small pond, asphalt driveway, 5 car undercover parking excellent colourbond shedding, mains & tank water connected and more! AVIVA Communities has commenced work on what will be a ground breaking residential community for people over 50 at Officer. 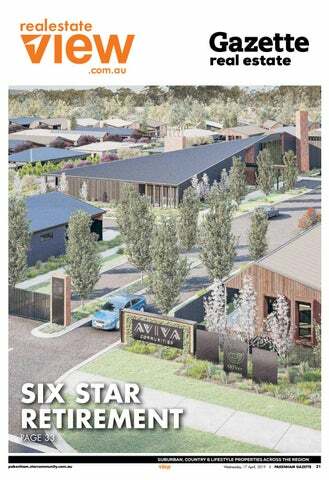 Managing Director of Aviva Communities Todd Strathdee said the $55million project is all about reinventing retirement and creating a community that is more suited to a young-spirited retiree. â&#x20AC;&#x153;The innovative design of the community and what we are able to offer our homeowners is very different to other options in the market,â&#x20AC;&#x153; Todd said. Designed by award winning Wolveridge Architects, the homes and clubhouse reflect modern housing styles that are based on the history Officer and embody design practices that optimise liveability for homeowners. 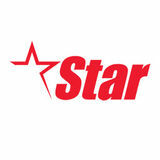 â&#x20AC;&#x153;All living spaces are oriented to the north and achieve a minimum six star energy rating,â&#x20AC;&#x153; said Todd. â&#x20AC;&#x153;Genuine master-planning means that every home has private open spaces that are achieved without tracts of imposing fences.â&#x20AC;&#x153; All homes at Aviva Officer come with access to a stunning clubhouse known as The Lodge. The Lodge design reflects the brick kilns and timber mills that were the foundations of enterprise in Officer. With statuesque brick chimneys punctuating stunning timber facades, The Lodge will be home to a range of amenities that support an active social and physical life. Whilst the community is outstanding in its design credentials, affordability was one of the most important considerations in its creation.